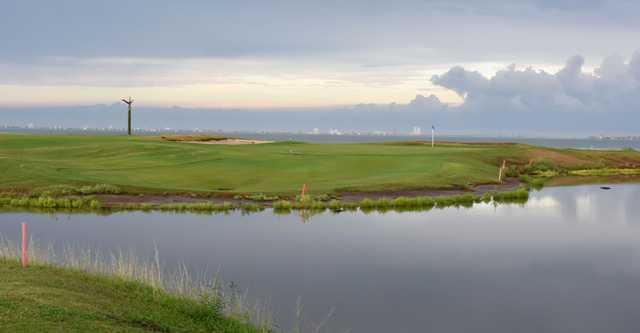 This southernmost course in Texas, despite its name, is actually situated on the mainland in Port Isabel. 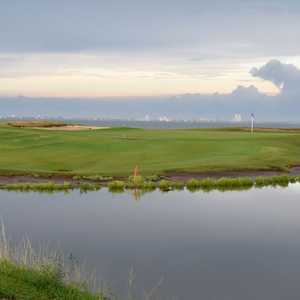 Architects Chris Cole and Stephen Caplinger carved an outstanding layout out of the wild native Gulf coast vegetation, with several holes bordering the Laguna Madre. 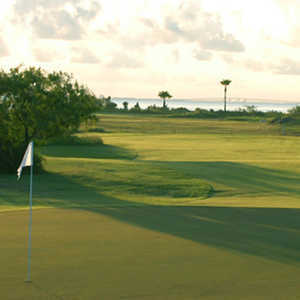 The club has hosted the Texas Senior Open and the South Texas PGA Southern Championship since its opening in 1997. 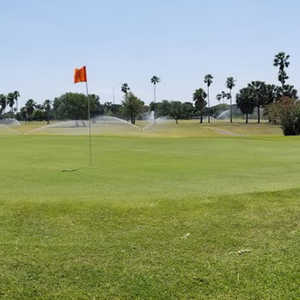 The design features wide fairways bordered by native yucca, mesquite, and cactus, and the windy conditions often make it challenging to keep it in the fairway. Errant shots will be lost for sure. Others that fail to find the fairway will bury in waste areas and deep rough. For the most part, the longer holes seem to play more downwind, while the shorter ones play into the wind. The large greens are of championship quality. Three of them are multi-tiered. No. 5 is the feature hole, a picturesque, 335-yard, par 4 with a tee shot that must carry the Laguna Madre into a sharp dogleg-right fairway. On the back, No. 11 is unique because of the giant mesquite tree that dominates the middle of the fairway. 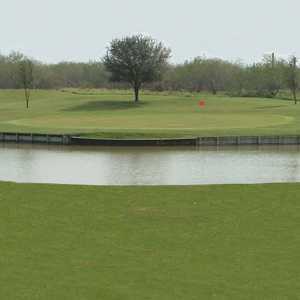 Hole 12 can be interesting: it's a short par 3 that is completely surrounded by water. The facility has plans for slow expansion based on how quickly the residential lots are developed. A second 18-hole course is under construction, with three holes complete. Designed by Chris Cole and Jeff Potts, this layout will feature only par 3 and par 4 holes and play to 5,400 yards. Getting there : The club is on Hwy 100 before you cross over the causeway onto the island of South Padre. Turn right on FM 520 and continue for 2.5 miles to the course. Challenging but fair course. Placement of drives is key. Greens are large and easy to read. I was lucky to play it on a light wind day or the difficulty level would increase rapidly. My buddies have been coming to South Padre Island Golf course (although not on the Island, but island view) for the last 11 years, I believe the year it opened. Like any new course, it had its growing pains. But over the years it has developed into one of the Valley's best and believe me, we've played them all. True, only the Third, fourth and fifth holes offer the island and ocean view, the rest of the course is set in its natural habitat. We usually get there in early April to mid May, after all of the spring breakers. Weather can be unpredictalbe making the course challenging from one day to the next. It's a great bargain especially if you plan on playing 36. All you will have to pay is your cart rental for the second round. Food and fun is on the Island only 10 minutes away. Enjoy! Where to start with how bad this course is. Well lets list all the things that were poor: Golf pro Chis is uninterested in anything except your cash in this tourist trap, the greens were sanded with no notice, the faiway has weeds, the bunkers don't have sand but grass weeds and water, the starter packs everyone on top of you. It is a con. Plain and simple.